We’ve been working for weeks to test and make certain that the Infinity ErgoDox is working how it should. We just received our first initial boards that are good to ship. This is great news for everyone in the group buy on Massdrop and great news for keyboards in general! When we first saw the initial response to the Infinity ErgoDox, we knew that what we had work to do. 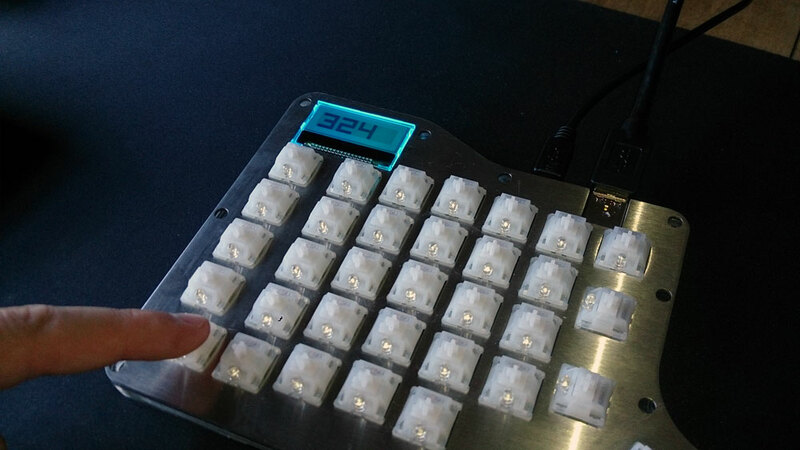 All Infinity Keyboard drops before the Infinity ErgoDox were a few hundred people. We cleared “a few hundred” in a single day, and the closing total was over 1000 people. Something about reaching that 1000 person mark in a single group buy made us realize that we needed to go above and beyond with our quality assurance. So we didn’t cut any corners and went through rigorous testing on every prototype. We waited an extra week on every order to make sure that there were no tiny features we had neglected to include in a revision. So, you have to imagine how excited we were today when we finished testing our final prototypes. Here are some photos of the LCD screens working, which were trickier to implement than we had thought. 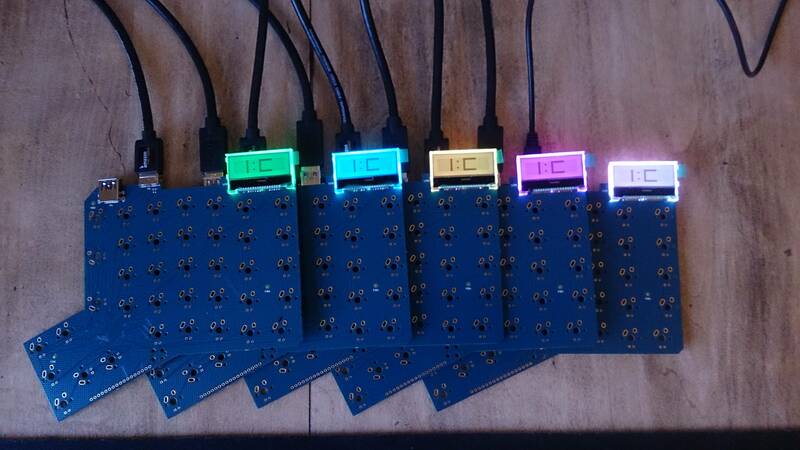 The hardest part of this entire project was making sure daisy chaining multiple ErgoDox worked. These photos mean that we can go ahead and order all the circuit boards, which in turns mean we have a countdown to delivery. Thank you to everyone that has been patient while we complete our work and we hope you all think that these are worth the wait. This topic was modified 3 years, 8 months ago by info. Looking good. I cant wait until next MD run… Thank you for all the hard work you guys have done for this keyboard! We have a momentous update. We had the PCB’s expedited from China last week, and spent the entire weekend rigorously testing the hardware. It also works if you plug in two or more halves of the Infinity ErgoDox together. If this were the field of mathematics, we would have just solved for Infinity + N(Infinity). This is particularly useful for people who have three hands, or the desire to daisy chain any number of keyboards together. While this only currently applies to the Infinity ErgoDox, as we make more keyboards this becomes much more significant. And just in case you were worried, full NKRO works, regardless of how many hands (and feet) you may have. The LCD screen also works, which is useful for our power users. As stated above, previous versions of the ErgoDox, you were forced to keep both halves on the same layer. 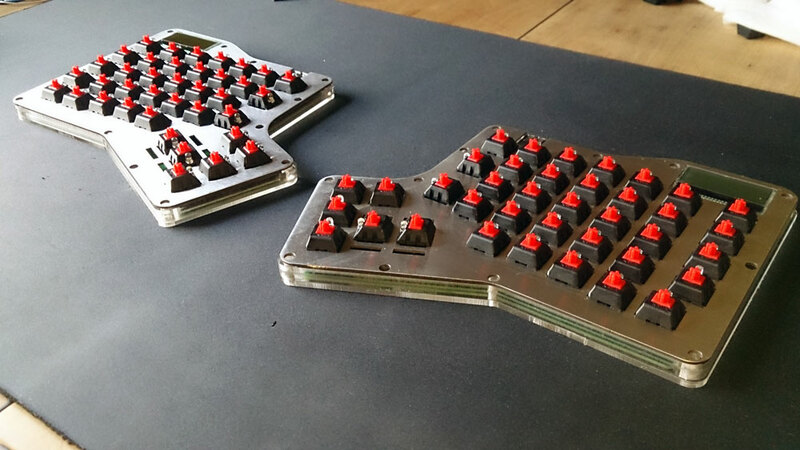 The Infinity ErgoDox is actually two distinct keyboards. We added the LCD screen primarily to give you a clear place to see what layer you are currently on. 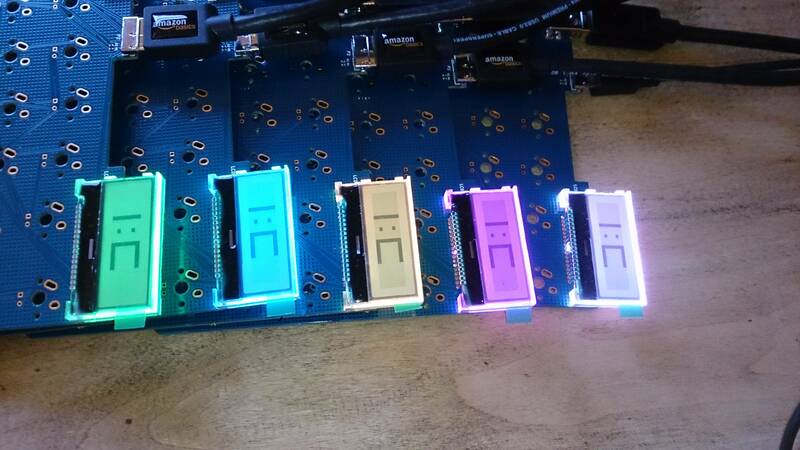 Each layer is assigned a color and the LCD displays top 4 layers currently active. This reply was modified 3 years, 7 months ago by info. Thanks for all the hard work. I’d love to see any new updates you guys have. Easily on track? Any chance we might be seeing them earlier than estimated? I won’t hold you to it, I’m just eager to get my hands on one. …. proceeds to read too much into it. 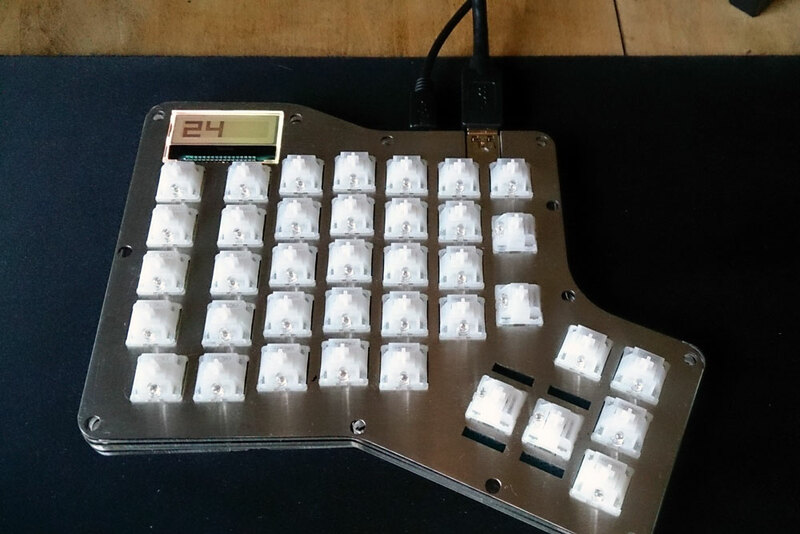 The forum ‘Infinity ErgoDox’ is closed to new topics and replies.